We’ve all heard warnings about keeping pets safe during extreme cold or hot weather. Still, there are always wild animals out there that don’t have the luxury of an owner to watch out for them. 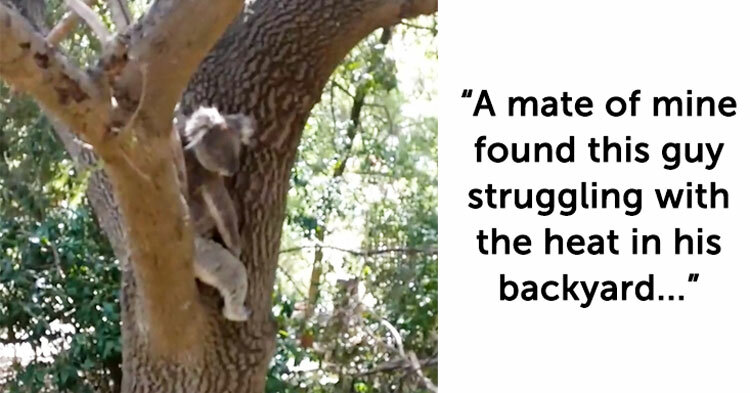 Thankfully for a wild koala bear in Australia, he established his “home” in someone’s backyard. So, when temperatures reached 115 degrees Fahrenheit, his human neighbor came to his rescue. 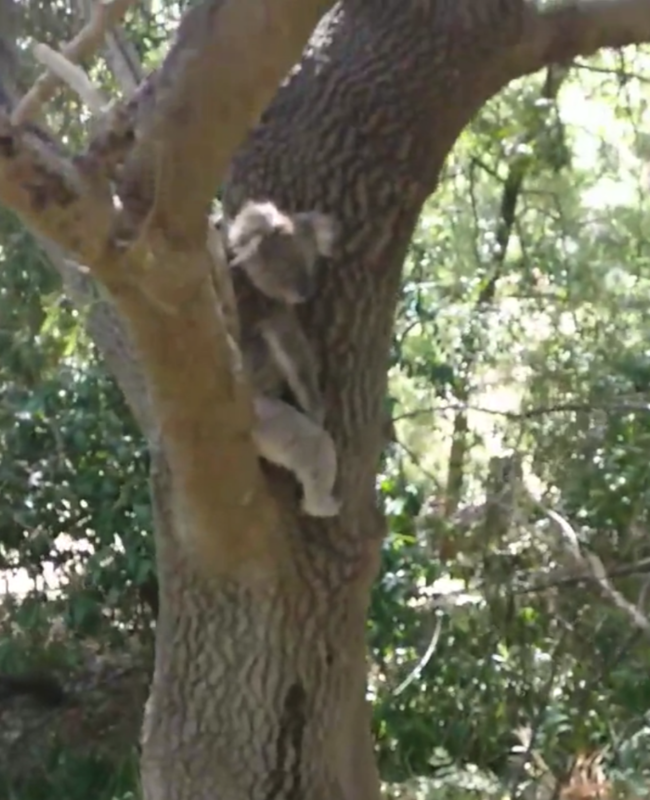 In a video posted on reddit, a man is walking in his densely wooded (and gorgeous) backyard when he spots a koala bear looking lethargic in a tree. The man starts talking to the koala, asking if he’s okay, and then offers him some water – which the animal seems to gratefully accept. According to the video’s original poster, the koala has taken a “semi-permanent residence” in the yard and the homeowner enjoys its company. The video’s original poster gave the reddit community a lot of information about koalas (which are actually marsupials, not really bears at all). 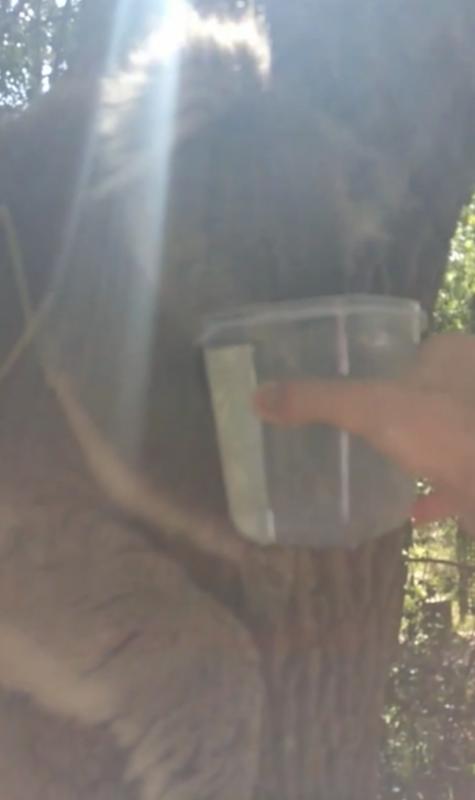 He said that in extreme heat, koalas tend to seek shade instead of water, which is why his friend went out of his way to hydrate this little guy. Reddit users praised the man who went out of his way to help a wild animal. The original poster pointed out how important it is to physically bring the water to the animals because “they get so disoriented, they won’t go back to the water if you leave it there” for them. Of course, one should always use common sense. Several reddit users issued caution (and jokes) about approaching wild animals. No matter what, it’s heartwarming to see a human helping an animal that was desperately in need of cooling down. 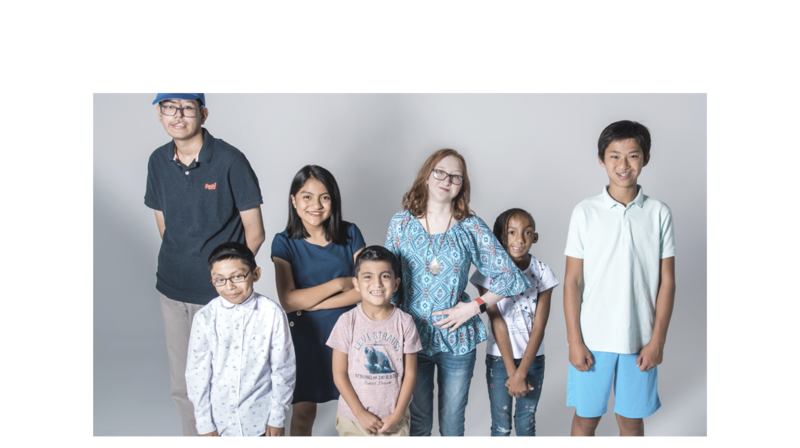 Watch the sweet encounter in the video below – and be sure to share with all your fellow animal lovers.